Heisuke has been mortally wounded. 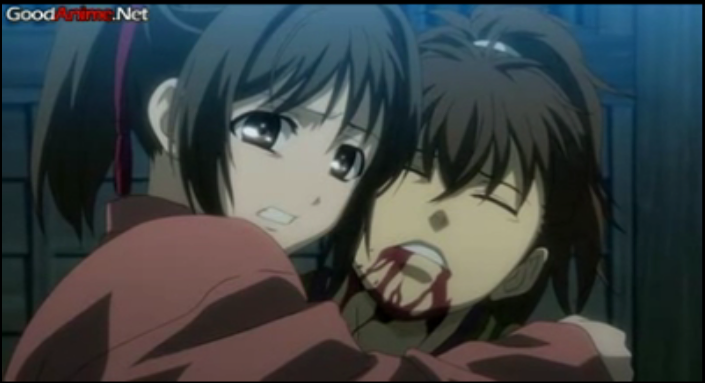 Episode 11 of Hakuouki features more blood than ever before. Things weren’t going well for the Shinsengumi the past few episodes, so it comes as a bit of a shock to see things take a turn for the worse. Some mysteries are finally revealed, but they turn out to be grim. To avoid dying from the wound he took defending Chizuru, Heisuke becomes a rasetsu. 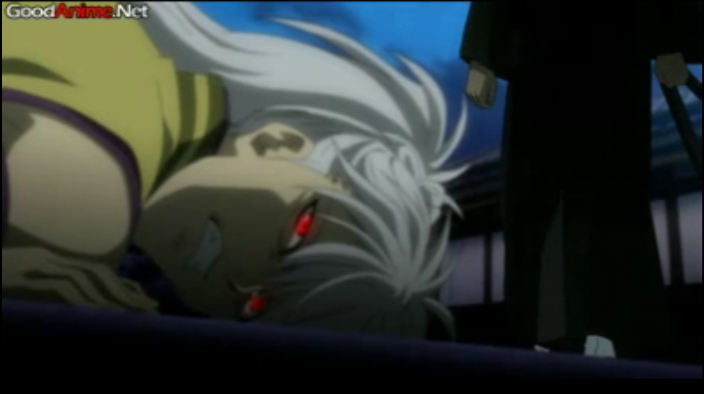 Upon smelling Chizuru’s blood, he almost loses control. 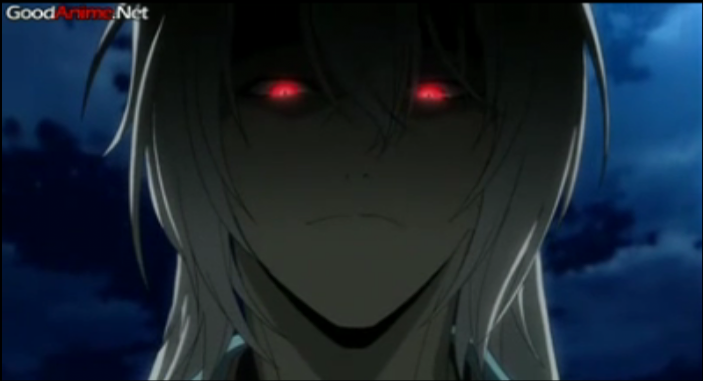 Sannan calmly explains that this is a “vampiric impulse”, and that all rasetsu must feed on human blood. Later it is revealed that the rasetsu units are killing, and feeding upon, innocent citizens. Clearly embarrassed, but that doesn't mean Sen is right. Sen appears briefly to ask for two things: 1) that the Shinsengumi stop using the rasetsu, and 2) that Chizuru come away with her. She is refused by Hijikata on both accounts. Now some oni would use that as an excuse to rip the place up, but Sen has class and she walks away. As she leaves, she embarrasses Chizuru by asking her if Hijikata is the guy she likes. Chizuru says no, but you can probably take that either way. Kondou suffers from a severe wound to his chest (and the remedy). 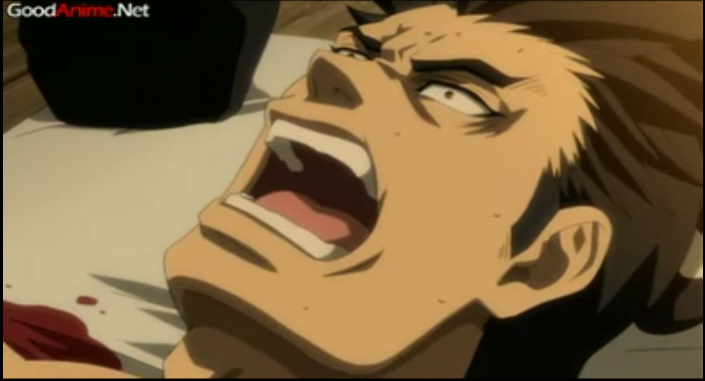 Kondou is shot by a sniper on his way back to headquarters. There has been very little sign of guns up to this point, but that changes in this episode. 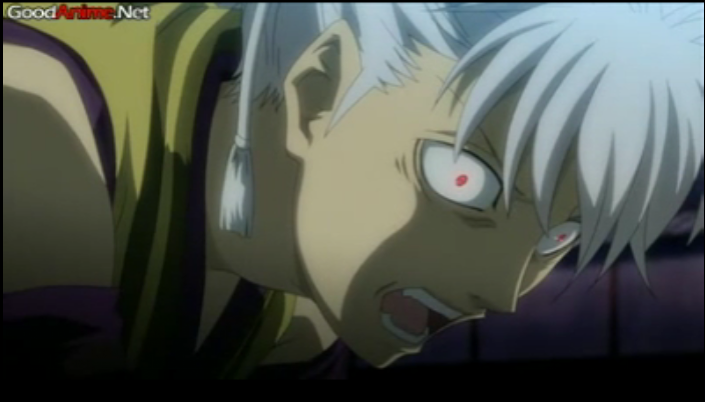 Okita is enraged by the attack on Kondou, who he seems to really idolize. Knowing that he can’t fight in his current condition, and having been supplied ochimizu by Kaoru, Okita becomes rasetsu. 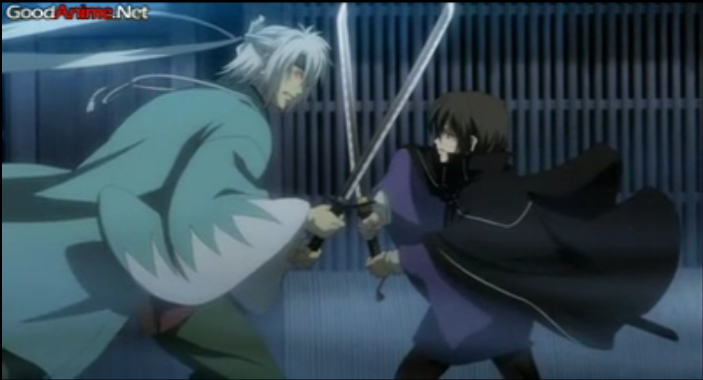 Samurai are firing shots outside the Shinsengumi headquarters, and Okita races out to confront them. Chizuru sees Okita leaving and she and Toudou chase after him. It's a trap! Kaoru is actually a guy. Okita kills several men, and discovers that the boy with them is Kaoru Nagumo, who claimed to be Chizuru’s sister just last week. Well he also claimed that ochimizu cures tuberculosis when he gave it to Okita. Now he says he hates his sister and is dedicated to tormenting her. He also lied, ochimizu won’t cure Okita’s TB. He also says that he told the sniper who shot Kondou where to lie in ambush. Silver bullets. 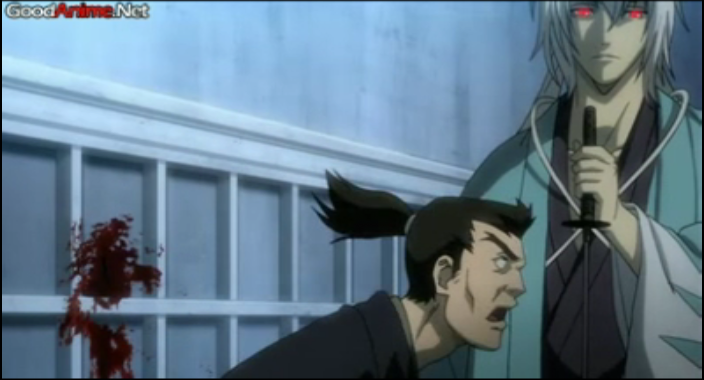 Okita is in trouble. Okita doesn’t get a chance to kill Kaoru, because Chizuru and Toudou arrive. Okita sees that Kaoru has stationed more snipers and they are aiming at his friends. He intercepts the bullets with his body. Toudou and Chizuru get him back to HQ, but there is something wrong, even after the bullets are removed, his body is not healing. 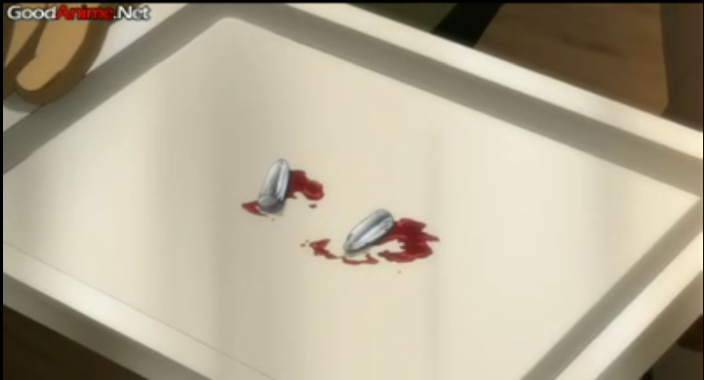 Sannan shows Hijikata that these are not normal lead bullets. This could be an important discovery for the Shinsengumi, as they need a weapon that is effective against the oni, but it isn’t clear that they realize what has happened, or how to make use of it. At this point there is one more episode, but a second season has been announced (to begin in the Fall). 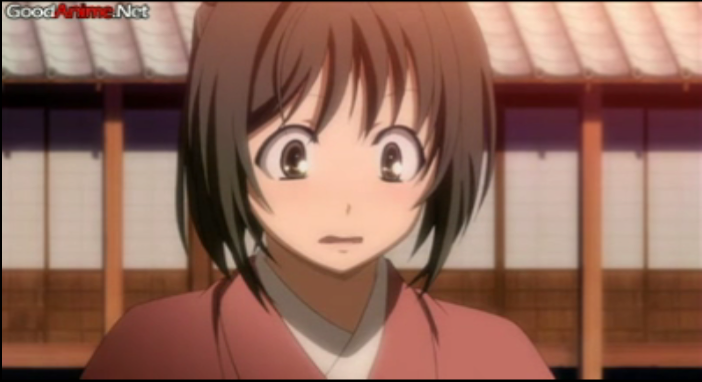 When Sen asked Chizuru to leave the Shinsengumi, she said a war was about to break out. Now it appears the second season will address the events of the Boshin War. Things have gotten pretty bleak, so I don’t expect a happy wrap up in the final episode, and the Boshin War was a disaster for the Shinsengumi, so this series has really taken a dark turn. Two characters have been “saved” from their historical deaths, only to lose their humanity. The Shinsengumi are fighting at a disadvantage against both the oni and those armed with guns. Finally war is breaking out, and the Shinsengumi ranks contain a very dangerous element of literally blood-thirsty soldiers. I’ve only seen the raw of episode 12, and my Japanese is very limited, but I’m certainly glad there’s a second season since not much appears to have been wrapped up in that last episode! Re: Chizuru X Hijikata, that certainly is a possibility, although I think they have developed the Chizuru X Okita more, just in a different way. Of course Hijikata comes across as much colder and sterner than Okita (despite Okita’s constant death threats), so it might just be that.